That Black-haired Beauty knows something good when she tastes it AND more importantly, because after all she is a dog, when she smells it. 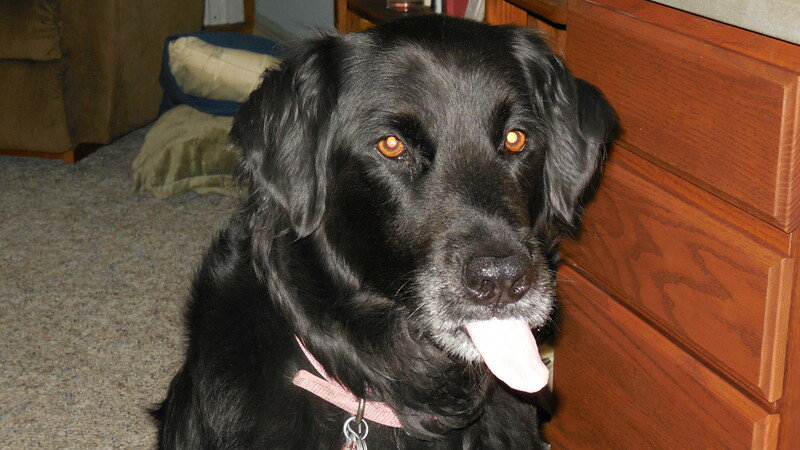 I find it interesting that dogs (an Arwen being a golden retriever/black lab mix is classic in this respect) will wolf down (pun intended) virtually anything resembling food, HOW-SOME-EVER there is always that discerning moment where her NOSE comes into play. Hence, though she will eat an amazing array of food-stuffs (and I use that terminology very loosely), she will turn her nose up at, well, say an onion. Taste is about discernment. And for we humans there are an amazing array of factors that go into what we like or dislike. My daughter, for instance, rejects some foods because of their texture. Also, I remember distinctintly a scene seared into my memory when I was a kid of about nine or ten: I had been invited over to my best friend's house (Walter R., are you still out there somehwere?) for the weekend and that first evening they served up oysters on the half-shell. [Hey, this was France, haute cuisine and all that).] I stared at that oyster for a very long time, but in spite of my best resolve and effort I couldn't put it in my mouth — just didn't equate to my experiences at the time. Tastes can change, of course. Today, if you put a platter of oysters in any form in front of me, they won't last long. This blog is a bit of a continuation of the previous one with a slight tangent. We all have "tastes." Tastes that are set through a myriad of experiences from birth on. [And if you believe in essence before existence, perhaps even before that.] Choices we make are based on the billions and trillions of things that have influenced us throughout our lives. The choices someone else makes, though they be so far divergent from yours that you can't understand them at all, are likewise, based on a myriad of experiences and factors. Yet many people find it so incredibly difficult to give others even the slightest understanding of why they are different from themselves. Taste/Choices are not about right or wrong. Seriously! They aren't! They are about perspective. Open yourself up to different perspectives, even a little, and you are opening yourself up to vast new worlds. There are many things I don't understand, and yes some of these scare me a bit, but if I am willing to make an effort to understand that someone else's point-of-view is simply different from mine, not wrong or right, then I have done a remarkable thing. I have good friends who are so different from me in so many ways that we don't even sit on the same fence (certainly not politically). We are friends because we can get beyond the differences and appreciate the person at the core. Open yourself up to "tasting" the incredible, wondrous, expansive and ever expanding world we live in. Your life will be far richer for it.